Sprained ankle affects us all; untreated you may develop chronic pain. Sprained ankle happens at least once to almost everyone; occasionally it can ruin the rest of your life; many tissues are commonly involved. Lower leg injuries often occur when there is weakness of one or more muscles on the side of the lower leg, commonly one of the Peroneus muscles. Normally these muscles should prevents the ankle from twisting, most commonly inwards, called inversion. This page was last updated by Dr Barrie Lewis on 23rd March, 2019. 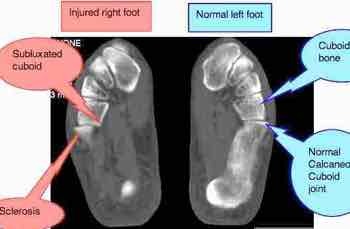 The talus bone moves mainly in one mode, called dorsi and plantar flexion; up and down. When an ankle is sprained, the bone subluxates within its socket, see below, causing jamming. This is what causes the severe, sharp pain of a sprain. The talus may remain partly locked for years, if not correctly freed with the appropriate adjustment, changing the whole movement pattern of the foot, knee and hip. At chiropractic coalface 2 you can read about how the Dutch national marathon champion had to stop running because of knee pain that was directly caused by an untreated ankle sprain. 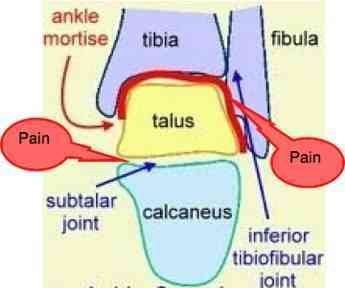 The talus sits on top of the calcaneus, or heel bone, in what is known as the subtalar joint. Can you also see the ankle mortice in the pictures below? There are so many bones and joints, with so much pain potential. The joint or, ankle mortise, as it is called, is formed between two leg bones, the tibia and the fibula and the talus. The talus fits snugly into a socket formed by the tibia and the fibula, moving like a hinge and allowing the foot to move up and down, supported by an array of ligaments. Trauma is probably the most common cause of ankle joint pain, but other conditions like a flat foot, or an arthritic hip that change the gait could also be a factor. Very serious injuries can happen to this complex as you can read about in this ankle joint pain casefile. The more common fractures are of the ends of the long bones, the tibia and fibula. However, fracture can occur of any of the ankle bones. Whenever there's enough force to break a bone, assume that there have been torn ligaments too. How reliable are xrays? A missed fracture can have terrible consequences for the ankle. Scroll down for this case of avascular necrosis. Careful correction of any ankle mortise and subtalar joint subuxations is a very important, and oft neglected, part of the successful treatment of a sprained ankle. Ankle joint pain casefile; a serious injury on the stairs. Ankle joint pain case file; runner's foot. 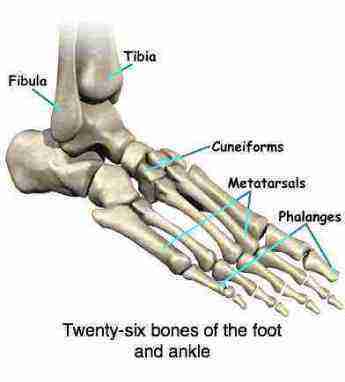 There are ligaments on both sides of the ankle that hold the bones together. They give the joint stability. They connect bones together while tendons connect muscles to the osseous structures. In an inversion sprained ankle, the most common injury, usually it is the ligaments on the outer side that are stretched and occasionally ruptured. Bruising is a sign that there has been some tearing of the tissues. Should that correction of the subluxations in the ankle not be done, it leads to vital changes to the biomechanics of the foot. This is usually the underlying cause of chronic pain, plantar myofascitis and more difficult to predict changes in the knees, hips and spine. Yes, that arthritic knee may be the result of an old ankle injury that wasn't properly cared for. The trend today is towards a boot that limits movement, provides pressure to reduce swelling, but can be removed for icing, bathing and gentle non weight bearing exercises. Crutches may be vital for a period in a serious injury. However, keep the ankle mobile and moving, gently if it's swollen and sore, by doing the alphabet exercises. Soon something coming up on YouTube for you, but for the moment just wriggle the joint about whilst you are sitting. A strong recommendation; if you know your ankle is not getting better, get a scan. Fractures of the one of the tarsal bones lurk and are often missed on plain xrays, sometimes with very serious consequences. There are also many tendons that cross the ankle to move the foot and the toes. Tendons connect muscle to bone, enabling you to move your foot; the muscles of the ankle are commonly involved. The muscles usually affected lie on the outer side of the lower leg. 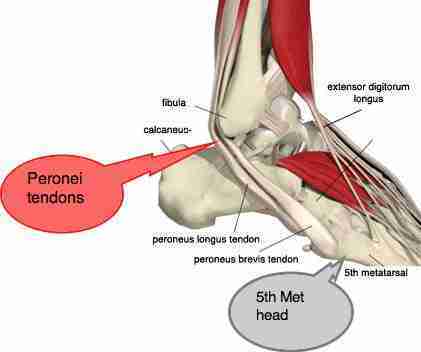 There are three of them called the peronei group, plus a few others, mainly for moving the toes. The contraction of Peroneus Brevis may be so sudden and severe, in attempting to prevent inversion ankle sprain, that it ruptures off its attachment to the bone. This is called a Jones fracture and immobilisation in a cast is essential. As with all conditions, much of the emphasis needs to be with get properly better, before returning to active sports. The ankle ligaments may be associated with ankle sprain, with stretching and possible tearing of these ligaments. Swelling and bruising are common findings. Rupture is uncommon. Muscle and tendon sprain may also occur. The achilles tendon and the muscle on the outer part of the leg are most frequently involved in ankle sprain. There is some interesting research that magnetic care may help in the healing of ankle fractures and sprained ankle. ICE should immediately be applied after a sprain of the ankle. This can best be done with an ice block immediately over the effected painful area. COMPRESSION may be important if it starts to swell. This is done with a compression bandage which should be professionally applied, but needs to be loosened regularly to allow movement of the joint (which has been shown to promote healing) and so that ice can be applied. ELEVATION is necessary if more extreme swelling occurs. X-RAY may be important to rule out fracture. It will then need to be cast for 6 weeks. A crack may not show up immediately, so the X-ray may need to be repeated after 10 days if fracture is still suspected. If you don't rehab your ankle then plantar myofascitis is one not unlikely result. Google appears to frown on too many links, so phrases in bold, like that hip grading system below, need to be put into the Site Search function in the navigation bar on your left if you want more information. KELLGREN LAWRENCE Hip arthritis grading system. A chronically fixated ankle mortise or subtalar joint after a sprain that was not adequately managed, prevents normal pronation whilst walking and running. This changes the whole gait cycle producing strain on all the joints above. Hip arthritis is but one consequence. This Kellgren Lawrence grading system is a useful measure of the severity of the degenerative change. Hip arthritis starts insidiously with discomfort and stiffness in the groin, side of the pelvis or buttock, often around fifty years of age. Initially it's intermittent, coming and going, eventually after about a year becoming a constant nagging ache with some sharp stabs. Because it changes the biomechanics of walking, it begins to affect the sacroiliac joint and buttock pain is not uncommon. Eventually raising the leg to put a sock on becomes painful and restricted. 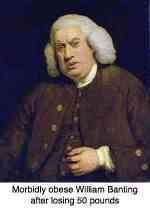 The key, as with all disease, is an early diagnosis and the correct treatment. In the case of hip arthritis that might just be a simple set of exercises done faithfully and some dietary changes to include rich sources of omega 3. Fatty fish like salmon and freshly ground flax seeds are the best sources. I will endeavor to answer every question you pose about your health. Please write in decent English if it's your home language, not from your phone in google di gook. The more detail you give the more useful you will find my reply. Sprained ankle but my ankle joint is locked - Shelly.